Around the time of the full moon, church services in the country were scheduled for 11.00pm, the bright light helpful for those on farms attending by horse or gig. 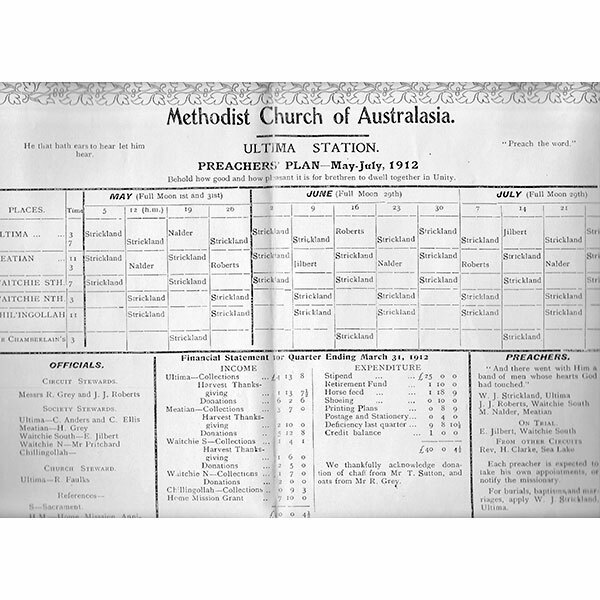 Pictured is the Methodist Preachers Plan for May - July, 1912, Ultima Circuit. The Catholic church would have scheduled services at similar times.